Psoriasis is a genetic skin disease associated with the immune system. The immune system causes skin cells to reproduce too quickly. A normal skin cell matures and falls off the body’s surface in 28 to 30 days. However, skin affected by psoriasis takes only three to four days to mature and move to the surface. Instead of falling off (shedding), the cells pile up and form lesions. The skin also becomes very red due to increased blood flow. 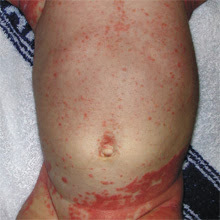 Napkin psoriasis may present as persistent nappy rash with flexural involvement and a well-demarcated edge.Ordinarily, people have their first outbreak between the ages of 15 and 35, but it can appear at any age. Approximately one-third of those who get psoriasis are under 20 years old when the disease first surfaces. 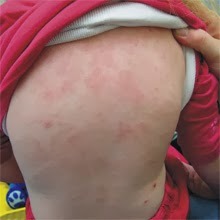 Psoriasis in children is often difficult to distinguish from atopic eczema.